(This workshop is run in collaboration with the UK Food Sovereignty Movement as part of a wider series of events in the lead up to a Summer gathering in 2015). 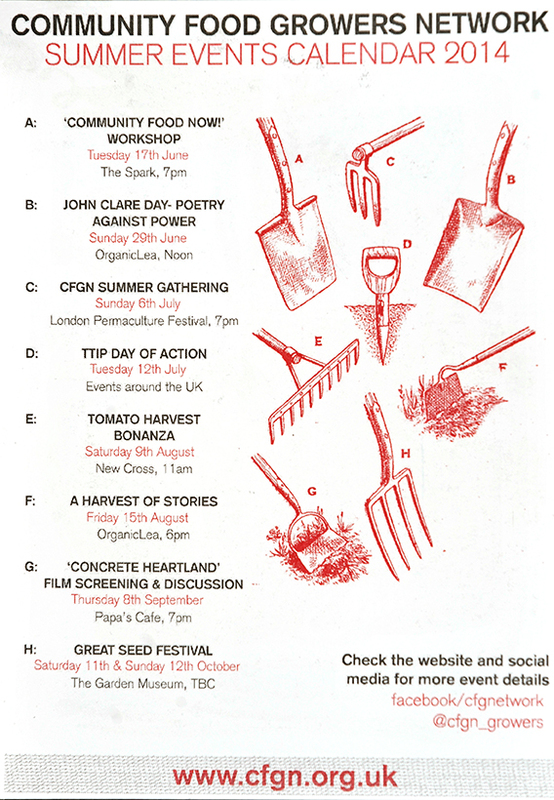 Join Organiclea for a site tour exploring the writings and legacy of the ‘peasant poet’ John Clare. Seasonal gathering to hear updates from different community food projects and make plans for the network in the coming months. War on Want is running a national tour with the Rosa Luxemburg Foundation, UNISON, WDM and other partners to raise awareness and take action against the Transatlantic Trade and Investment Partnership (TTIP). Currently being negotiated in secret between the EU and USA, TTIP is set to be the biggest transfer of power to transnational capital that we have seen in a generation, and it is up to us to stop it. There is already a major campaign against TTIP across continental Europe, and we need to build one in Britain too. A four-course feast of local food unraveling the stories of creativity, resistance and celebration carried by the plants on our plates. Concrete Heart Land exposes the social cleansing of the Heygate Estate in Elephant and Castle, South London. It marks the moment that the estate was fnally lost as social housing to make way for an unjust ‘regeneration’ scheme. 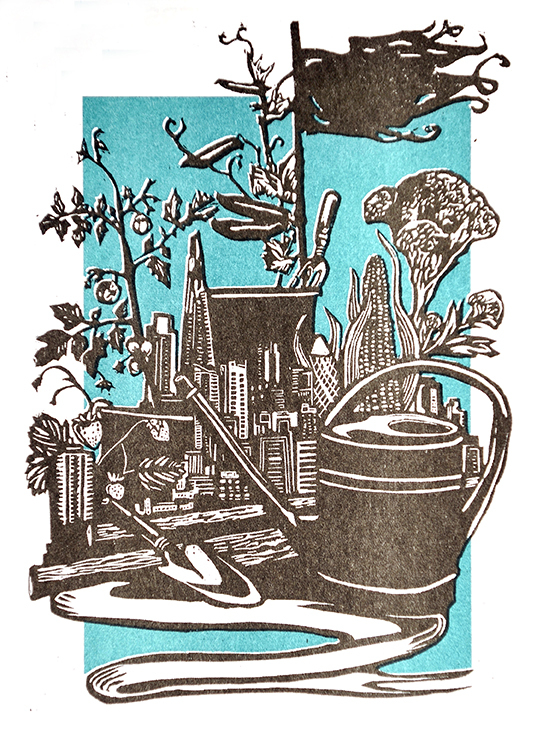 The film will be followed by a discussion about the affects of gentrification in London and how community food growers can work with communities fighting to defend their homes and communities. The Great Seed Festival will be a celebration of meeting and learning with other London seed savers. More information to come.